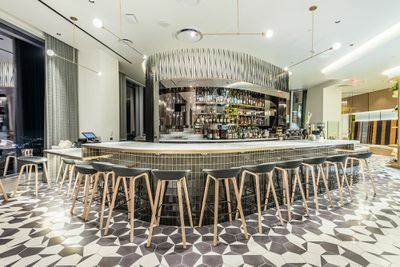 Friday’s big Wilshire Grand opening also brought about two new, more low-key arrivals to the InterContinental Hotel Los Angeles Downtown. 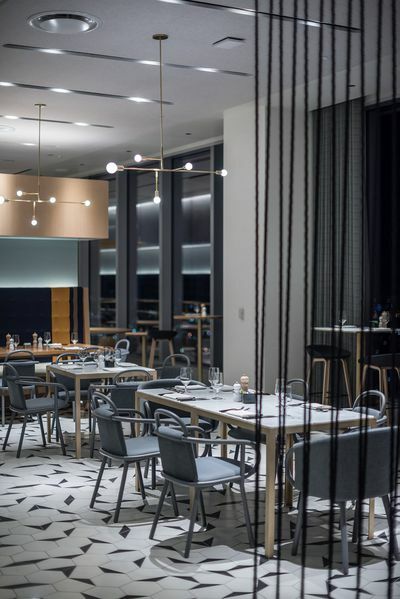 Unlike sky-high Spire 73 or the classy 71st floor steakhouse La Boucherie on 71, newcomers Sora and Dekkadance play to the more everyday hotel diner. 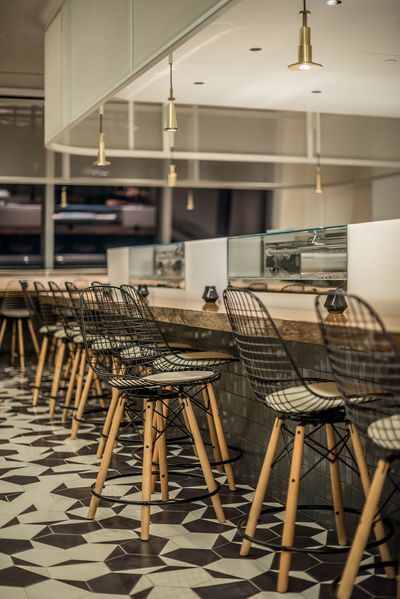 First is Sora, a sushi counter option with room for an omakase experience. 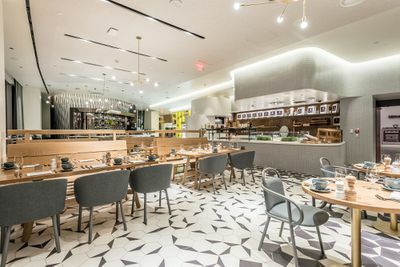 Interestingly enough, while the digs are rather glamorous and the menu includes a tight collection of Japanese whiskey, the sushi at Sora will be served by way of a conveyor belt. It’s a far cry from the cheap-but-efficient stuff usually seen when conveyor belts and food meet, and the compact space does still come with some pretty great nighttime views. Sora is open daily from 11 a.m. to 10 p.m. (9 p.m. on Sundays), and the opening menu is below. Then there’s Dekkadance, a nearly around-the-clock newcomer that works like an open marketplace with hot food selections. 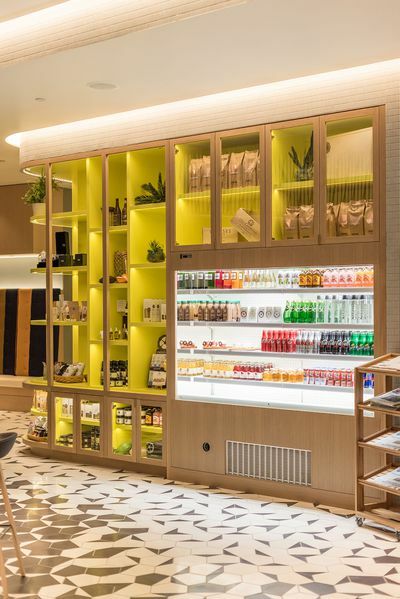 This is the hotel’s all-day casual dining space, with grab-and-go items, 69th floor views, and various quick service items prepared to order. The opening menu is below, and hours are 6 a.m. to 10 p.m. daily (9 p.m. on Sundays. 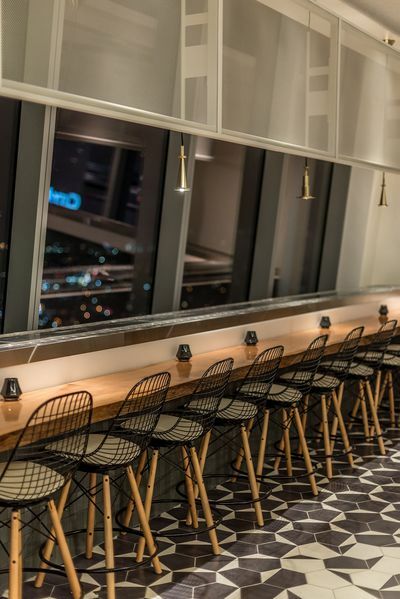 “Marvel at LA’s New 69th Floor Conveyor Belt Sushi Counter.” Eater LA – All. 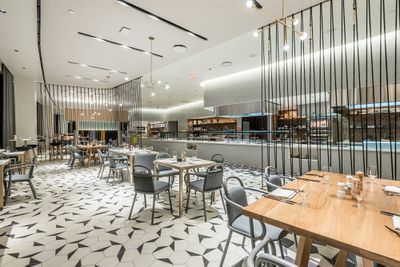 https://la.eater.com/2017/6/26/15876250/intercontinental-wilshire-grand-conveyor-sushi-photos-dekkadance-inside.